Our product range includes a wide range of stainless steel scoops, brass sieves, tablet counter, ss mixing bowls, analgesiometer eddy's hot plate and antibiotic zone reader. 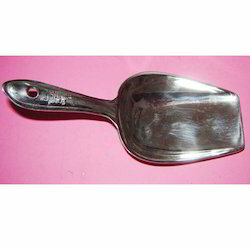 We are one of the leading manufacturers, suppliers, and exporters of a wide range of high quality Stainless Steel Scoops. 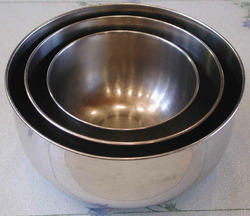 These scoops are made from finest quality stainless steel with thickness of 0.5-1.5 mm. We offer these scoops in various carrying capacities from 100 gm to 2 kg. Moreover, these scoops are widely used in schools, colleges, industries and research institutions. Size: 7" 8" 9" 10" 11" 12"
We offer a wide range of high quality Brass Sieves to our valuable customers. 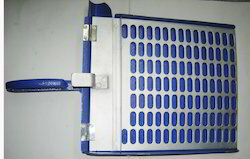 These sieves are widely used for characterizing the particle size distribution of a sample. Sieving is done typically using a woven screen such as a mesh or net. These products are made from high quality brass and the size of separation can be custom designed as per the demands of our valuable customers. We are one of the leading manufacturers, suppliers and exporters of Tablet Counter. This product has high counting capacity of 20-60 BPM. Offered counter is widely used to accurately count prescription medications in tablet or capsule form. This counting assists the needs for patient medication safety. Also, it reduces costs for the typical pharmacy. 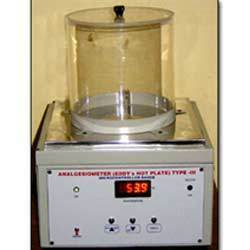 We offer high quality Analgesiometer Eddy's Hot Plate to our valuable customers. 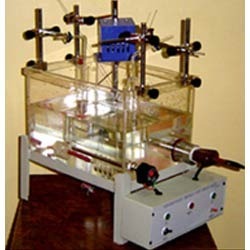 This machine is widely used for screening the effectiveness of analgesics drug by observing the reaction of small animals to pain caused by heat. The heat is generated by 30 X 30 heating surface with temperature range between 30° C to 80° C. These have precise functionality and could easily withstand the effects of severe and unfavorable circumstances. 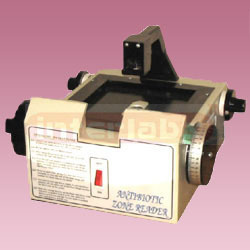 Owing to the vast experience in this domain, we are engaged in offering high quality Antibiotic Zone Reader to our esteemed customers. These products are commonly used for determining the strength of antibiotic materials by measuring the diameter of the inhibited zone in a Petri dish. The equipment is assembled in a mild steel cabinet and finished with enamel paint. Moreover, these products are offered at cost effective market price without compromising on our quality. 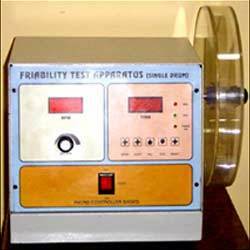 We are offering Friability Test Apparatus to our clients. Used to determine the durability and abrasiveness of tablets. A transparent perspex drum (made of imported perspex sheet 6.4 mm thick) 300mm dia x 35mm deep and white cover disc and nut, also a shaped radial fixed blade which. These are available at very reasonable price in market.